Perspectives : Did Elvis Costello See the Future? 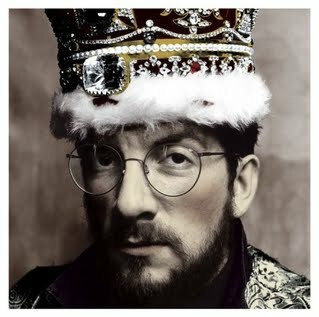 Thirty years ago, Elvis Costello wrote "Brilliant Mistake" for his brilliant album King of America. How could he have known it would be so appropriate today? He's British, his wife (jazz genius Diana Krall) is Canadian. But they spend a lot of time in our USofA. "Oh" I said "I see you know him"
"Isn't that very fortunate for you"